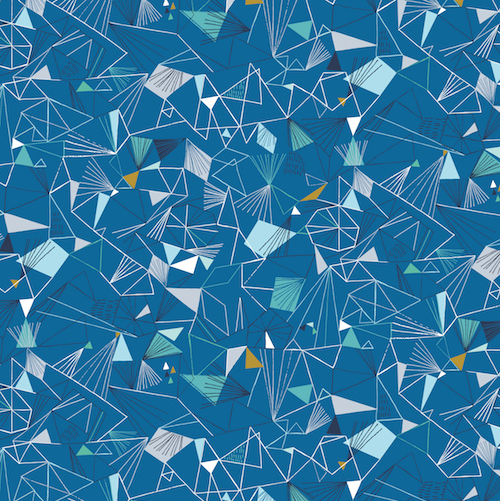 Geometric ice crystals in blue with gold metallic accents. Fabric from Dashwood Studios the Norland collection by Bethan Janine, 100% cotton. 44"-45" wide.